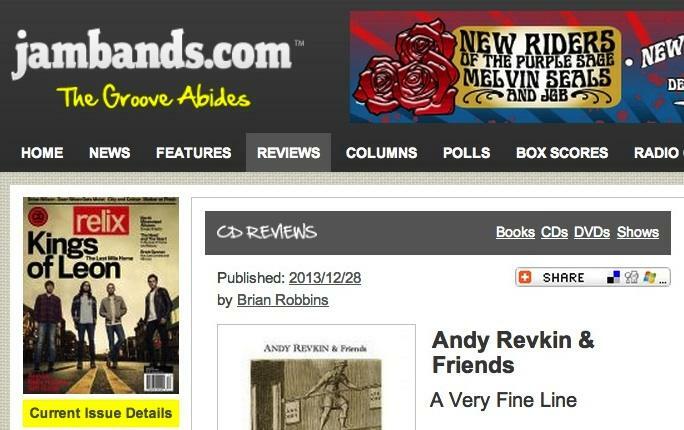 This is the Web home for Andy Revkin's music. His first album, "A Very Fine Line," is hailed as "a tasty mix of roots goulash" in Brian Robbins' Relix Magazine Jambands review. The title song, about life's close calls. A mining death foretold by a bird's flight. Bruce Molsky, fiddle.